Find Marvin, NC Homes for sale. View Photos, Maps and MLS Data Now! 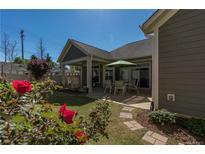 A+ Marvin Schools and close to Blakeney restaurants and shopping! MLS#3497764. RE/MAX Executive. Firethorne - A+ Marvin Schools and close to Blakeney restaurants and shopping! MLS#3496830. RE/MAX Executive. This Home and Community are a Must See! MLS#3497017. David Upchurch Real Estate. Firethorne - A+ Marvin Schools, low taxes, excellent club amenities! MLS#3491484. Scarlett Real Estate, LLC. Six Bedrooms, six and half bath, designer light features, upgraded granite/appliances, basement has it all: kitchen, movie area, office, full bath/rough-in half bath, play area, dinning etc. Come and see for yourself. MLS#3489009. ProStead Realty. Meadowlark - Go to www.1222meadowlark.com to see a list of all features this unique home has to offer. MLS#3494006. Century 21 Vanguard. Marvin Creek - Walking trails are closely accessible from the home which leads to nearby elementary school. MLS#3486420. Dane Warren Real Estate. Award winning Marvin schools. NO HOA. MLS#3492443. Helen Adams Realty. The Preserve at Marvin - Quality Upgrades include Plantation Shutters, Surround Sound, Security System, Uplighting, and more! Top Schools! MLS#3492262. Allen Tate Providence @485. Providence Glen - Lawn irrigation system. Must see this one! MLS#3491891. Keller Williams Ballantyne Area. Wyndham Hall - Ideal location to Blakeney, Ballantyne, Waverly & (I-485). AMAZING PROPERTY! Will NOT LAST! MLS#3487832. RE/MAX Executive. Close to all Ballantyne has to offer and easy access to 485, 521 and 160. MLS#3490822. PMP Carolinas Inc.
Providence Ridge - Lots of storage throughout home. Easy access to I-485. MLS#3490282. S M Holman Realty. Pet washing station built in garage! MLS#3490291. Keller Williams Ballantyne Area. Great finish details throughout this home. MLS#3486564. Allen Tate SouthPark. Innisbrook At Firethorne - Perfect community location with Top rated Marvin Ridge School District! MLS#3484054. Coldwell Banker Residential Brokerage. Firethorne - A+ Marvin Schools, low taxes, excellent club amenities! MLS#3488607. Allen Tate Ballantyne. Firethorne - Great neighborhood and award winning schools! MLS#3482971. Allen Tate Providence @485. Innisbrook At Firethorne - Basement with 2nd kitchen, workout room, craft niche, family & recreational space, 6th en-suite bedroom, 4th car garage access...++ award winning Marvin Schools! MLS#3480367. HM Properties. One year 2-10 home warranty included. MLS#3481143. Keller Williams Ballantyne Area. Amenities include clubhouse, pools, lazy river, tennis, tot lot & trails! MLS#3476802. Keller Williams Ballantyne Area. Kitchen offers abundant amounts of counter space, stainless steel appliances, double oven, warming drawer and white cabinetry.You will fall in love with this peaceful setting and privacy that surrounds this home! Irrigation by private well. MLS#3474622. Keller Williams Ballantyne Area. Meadowlark - Minutes from Ballantyne, 521, 485, Firethorne Country Club, Redstone, Blakeney, Stonecrest, Waverly, and Rea Farms. A MUST SEE!! ! MLS#3469953. EXP REALTY LLC. Innisbrook At Firethorne - There is a walk up attic as well as a walk in attic.All of this in award winning Marvin Ridge schools! MLS#3475522. Parker Realty Home & Land LLC.